John M. Chu’s Crazy Rich Asians continued its remarkable run, earning $23 million over the first 3-days of the Labor Day Weekend, a drop of just 10% from its second weekend showing. In fact the romcom with a cast made up almost entirely of westernized Asians has dropped just a bit over 15% from its opening frame. With strong support from other holdovers, notably The Meg and Mission: Impossible-Fallout, Crazy Rich Asians powered the box office to an 18% gain over the Labor Day frame a year ago when The Hitman’s Bodyguard capped off one of the weakest Augusts in box office history with just $10.5 million over the 3-day weekend. After a disappointing summer season in 2017, the box office roared back this summer, bringing in about $4.39 billion (final numbers won’t be out until Tuesday), the fifth best total of all time (not adjusted for inflation). This year’s summer total would have been even more impressive had Disney not chosen to open Avengers: infinity War in the last week of April, which kept its debut total out of the summer season calculation. But it’s time now to praise the performance of Crazy Rich Asians, which has earned $111 million in just 17 days as it looks to become one of the highest-grossing romantic comedies in years. 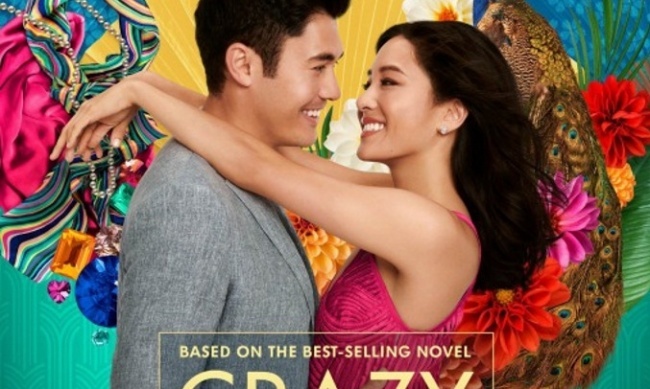 By this time next week Crazy Rich Asians will become the highest-grossing romcom since Silver Linings Playbook ($132 million in 2012). Crazy Rich, which is expected to earn more than $27 million over the full 4-day holiday, will have posted the best Labor Day numbers (not adjusting for inflation) since Halloween earned $30.6 million in 2006. 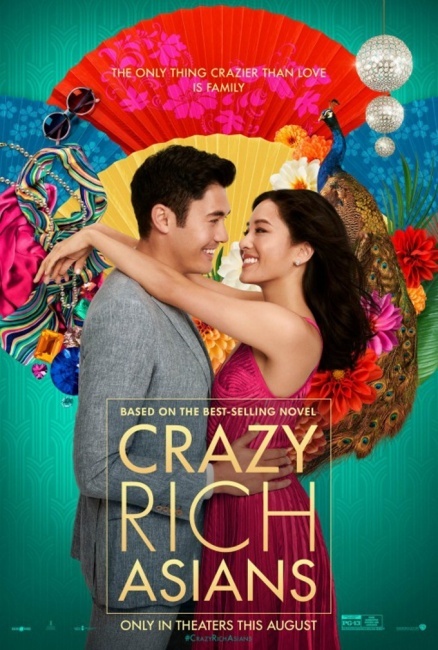 Crazy Rich Asians was the 17th movie of 2018 to pass the $100 million mark (The Equalizer 2 became the 18th as it also nosed past the century mark this weekend). Last year there were 33 films that earned over $100 million here in North America, though only one, Star Wars: The Last Jedi, earned over $600 million. This year we have already had three films, Black Panther, Avengers: infinity War, and Incredibles 2 that have earned more than $600 million in the domestic market. Also demonstrating great legs during this late summer season are Warner Bros.’ shark epic The Meg, which dropped just 18% in its fourth weekend as it earned $10.5 million to bring its domestic total to $120.5 million, and Mission: Impossible-Fallout, which slipped just 13.4% as it brought in an estimated $7 million over the 3-day weekend for a six week domestic total of $204.3 million. Overseas Fallout earned an August record $77 million debut in China to drive its global total to $649 million. Look for Fallout to earn a franchise best (not adjusted) total over more than $700 million before its run is done. A consequence of Fallout’s boffo debut in the Middle Kingdom was a corresponding 83% second weekend drop for Ant-Man and the Wasp, which earned just $11.3 million in its second weekend in China. Still Ant-Man and the Wasp, which has already earned $595 million, will end its global run with more than $600 million. While this represents an improvement over the first Ant-Man’s total of $519 million, it will likely rank as the lowest total yet earned by a Marvel Studios’ sequel. The capture of Adolf Eichmann saga, Operation Finale, debuted modestly in fifth place with an estimated 3-day total of $6 million, and a 4-day haul projected at about $7.8 million. The Oscar Isaac-starring war criminal drama cost just $24 million to produce, so its debut total (from just over 1,800 theaters) is no great cause for alarm. Operation Finale earned a solid “A-“ CinemaScore from opening weekend audiences, which skewed slightly male (51%), quite a bit older (65% over 35), and very white (69% Caucasian). No other debuting film managed to make it into the top ten, but Sony’s cyber thriller, Searching, which also features westernized Asians in key roles, expanded from 9 theaters to over 1,200 as it earned an estimated $5.7 million over the 3-day weekend, which was well above expectations. With the second best per theater average in the top ten, Searching is film that looks like it could become something of a phenomenon. It is a bit premature to designate Searching as a “hit,” but it is certainly a film to watch closely. Searching attracted an audience that was evenly split between the genders and a bit older (61% over 25). After its slow start Disney’s Christopher Robin continues to show decent legs as it dropped just 19.6% in its fifth weekend, earning $5 million over the 3-day weekend and driving its domestic total to $85 million. Look for Disney to keep this film in theaters long enough to give it a good shot at crossing the $100 million mark. Also demonstrating great “legs” is Spike Lee’s BlacKkKlansman, which dipped just 18.8%. The $15 million production should finish the weekend with a domestic gross of around $40 million. Debuting outside the top ten was the Lionsgate-produced science fiction/action film, Kin, which stars James Franco. Finishing in 12th, Kin earned just $3 million from 2,141 theaters for a poor debut average of just $1,411 per theater. Kin received a “B+” CinemaScore from opening weekend audiences, which skewed male (56%) and older (with 65% over 25). Be sure to check back here next weekend for the start of the fall movie season, which typically includes a mix of horror movies and adult dramas (many of which have Oscar hopes). 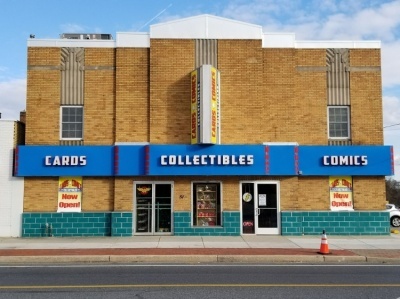 Next week’s box office champion is expected to be The Nun, the latest installment in the popular horror franchise The Conjuring, which will debut in over 3,700 theaters, while STX will release the action movie Peppermint, which stars Jennifer Garner in a bloody revenge thriller, in more than 2,850 locations, and God Bless the Broken Road, which is based on a popular country music song, will debut in over 1,200 venues. 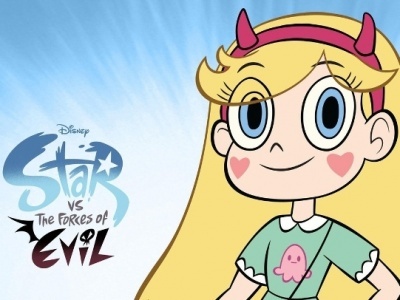 This week, Steve Bennett looks at the cancellation of the surprisingly strange and sophisticated Star vs. the Forces of Evil , with a sidebar on the (unfinished) comic series.